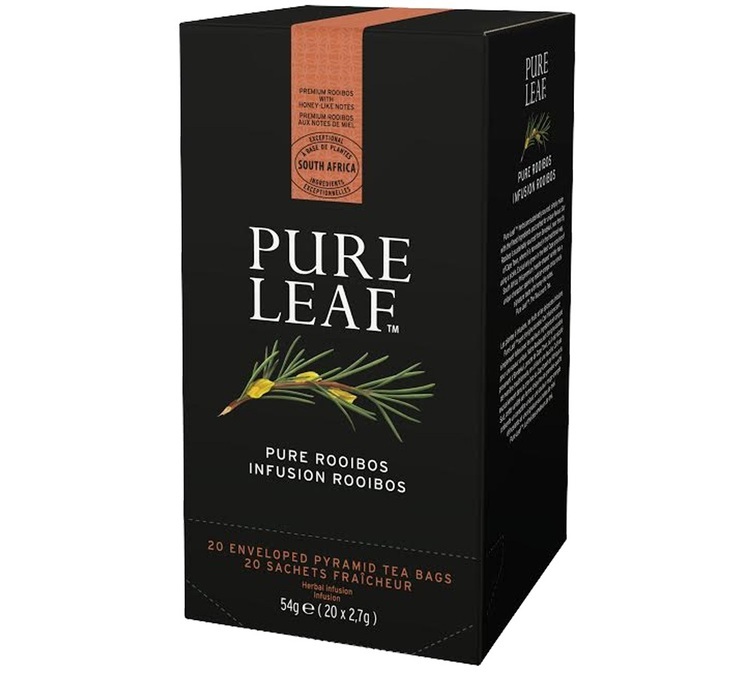 Relax with this natural rooibos from Pure Leaf. For an aromatic caffeine-free infusion. You can drink it hot or cold with added pieces of fruit. 1 box of 20 individually-wrapped pyramid bags.